The Rapid Test of Respiratory Syncytial Virus (RSV) is a chromatographic immunoassay with an instrumented read for the direct and qualitative detection of RSV fusion protein from nasopharyngeal washes/aspirates and nasopharyngeal swabs in transport media from patients suspected of having a viral respiratory infection. This test is intended for in vitro diagnostic use to aid in the diagnosis of RSV infections in infants and pediatric patients under the age of 20 years. Negative results do not preclude RSV infection and should not be used as the sole basis for treatment or for other management decisions. A negative test is presumptive. It is recommended that negative test results be confirmed by viral cell culture or an alternative method, such as a molecular assay. 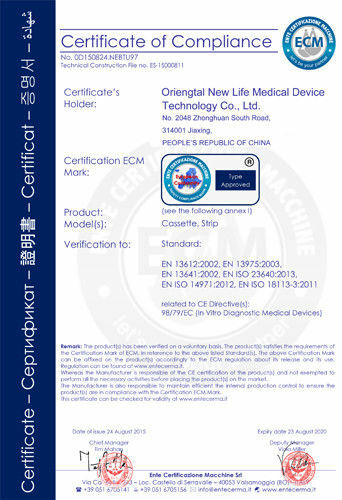 The test is intended for professional and laboratory use. The RSV Ratest is a chromatographic assay to qualitatively detect RSV viral fusion protein in respiratory specimens. 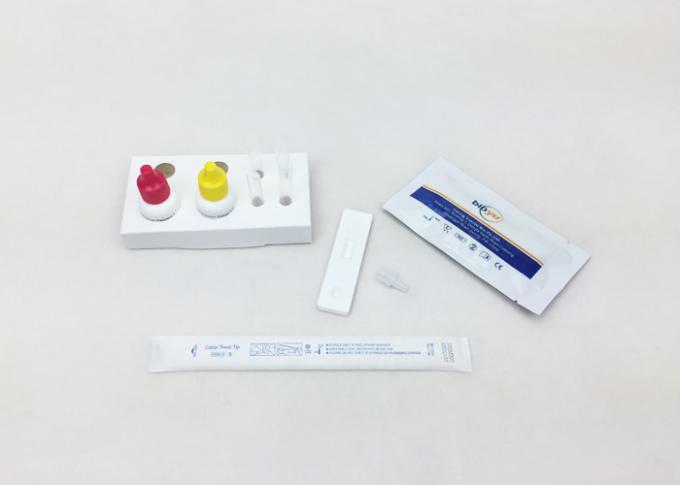 The patient specimen is mixed in a prefilled unitized tube containing RV Reagent C and added to the test device. 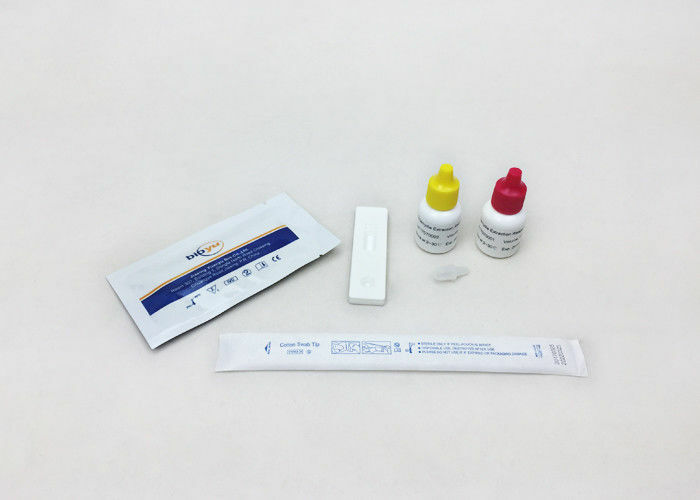 RV Reagent C contains mucolytic agents that function to break down mucus in a patient specimen thereby exposing viral antigens and enhancing detection in the assay device. Processed specimens are expressed through a filter tip into a single sample well on the RSV test device. The specimen is mixed and added to the test device where RSV antigens bind to antirespiratory syncytial antibodies conjugated to detector particles on the RSV test strip. The antigen-conjugate complex migrates across the test strip to the reaction area and is captured by an antibody line on the membrane. The assay utilizes a proprietary enhanced colloidal-gold particle at the test lines as the means for identifying the presence of RSV viral antigens. The RSV test devices are designed with four spatially-distinct zones including positive and negative control line positions, test line for the target analyte, and a background zone. 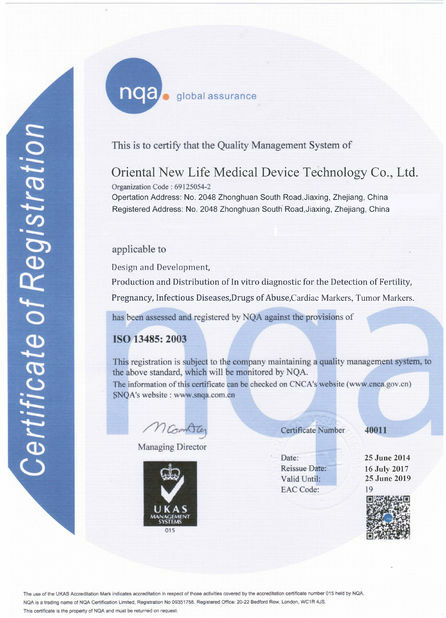 The test line for the target analyte is labeled on the test device as ‘T’ for test position. The onboard positive control ensures the sample has flowed correctly and is indicated on the test device as ‘C’. Two of the four distinct zones on the test device are not labeled. These two zones are an onboard negative control line and an assay background zone. The onboard negative control zone addresses non-specific signal generation and is not labeled on the test device. The remaining zone is used to measure the assay background and is also not labeled. Step 1: Bring the specimen and test components to room temperature if refrigerated or frozen. Once thawed, mix the specimen well prior to performing the assay. Step 3: Label the device with the specimen ID number. Step 4: Using a squeezing motion, fill the capillary pipette with the serum, plasma or whole blood. Do not exceed the specimen line (see following image). The volume of the specimen is approximately 5 µL. For maximum precision, transfer the specimen using a pipette capable of delivering 5 µL volumes. Holding the capillary pipette vertically, dispense the entire specimen into the center of the sample well (S well), making sure that there are no air bubbles. The reproducibility of Rapid RSV test was evaluated at three clinical laboratory sites. The reproducibility panel was composed of 12 simulated RSV samples that were prepared in the same manner as for the precision study. The panel included moderate positive samples, low positive samples, high negative samples and negative samples. The panels were masked and randomized by BD prior to shipment to the clinical trial sites. Each site had two operators and each operator tested each panel for five consecutive days, resulting in a total of 60 samples tested per operator and 120 samples per site.